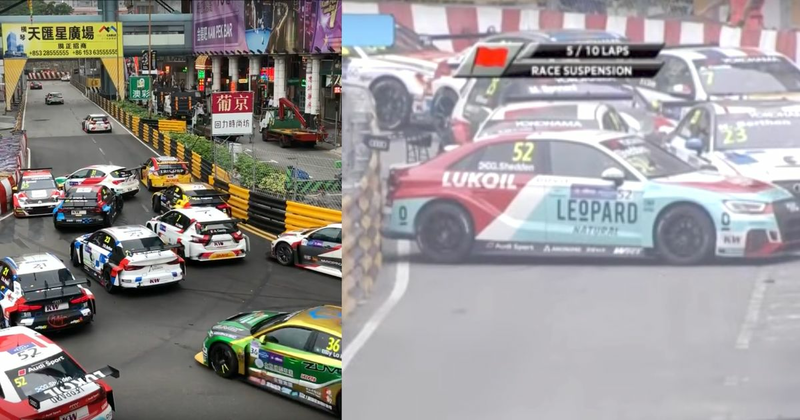 Most years at Macau, you’ll see two types of incident take place across the races. There’ll be some sort of incident at Lisboa, the slow right-hander after the long straights, and there will be some sort of track blockage further round the track on the twisty mountain section. The first World TCR race managed to check both of those off. On the first lap, Mehdi Bennani and Frédéric Vervisch made contact into Lisboa, leaving drivers on the inside with only a small gap to pass through, and drivers on the outside left in a traffic jam waiting for a space to clear. Later in the race, Gorden Shedden crashed at Police, completely blocking the circuit. Unlike the GT3 crash last year other drivers more or less saw what was going on and there wasn’t quite as much carnage, but the race still had to be stopped.